Brian Lambert P.T. 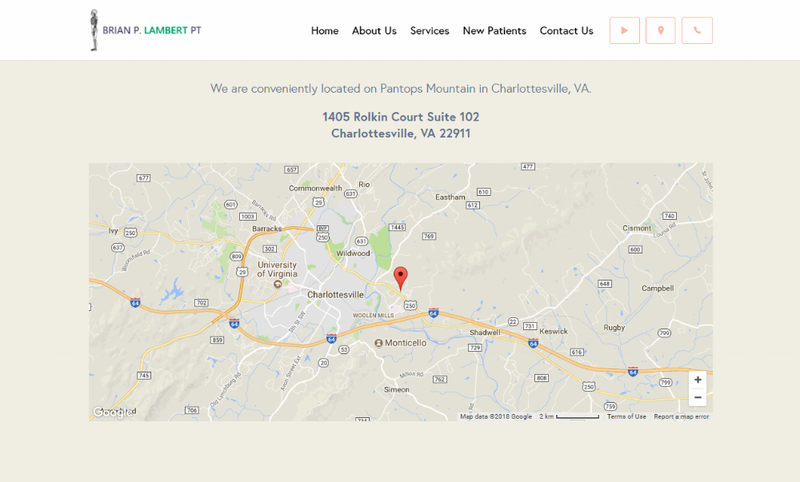 is a physical therapists in Charlottesville, VA who specialize in combining hands-on ostepathic based care with their own specialized biomechanical, re-education exercises. 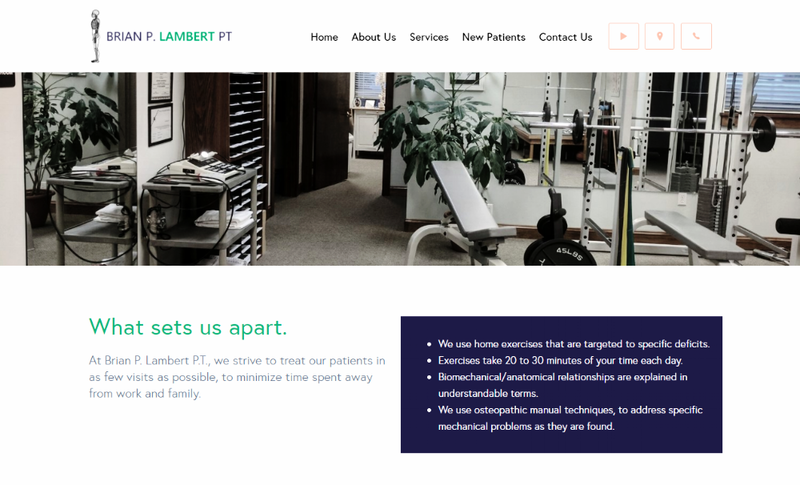 We completely redesigned Brian Lambert P.T. website from the ground up, to provide a dynamic and easy to navigate experience for both new and existing customers. The website in an adaptive format that's optimized for mobile. Eleva Creative February 12, 2018 Brian Lambert P.T.